Inspired by the 20th anniversary of the cultural touchstone that is Buffy the Vampire Slayer (and trust that the author says this in all seriousness), this post is dedicated to celebrate the awesomeness of research – and the awesomeness of researchers. While stuffy stereotypes abound, popular culture offers many examples of researchers who have not only kicked arse and saved the world but have worn brilliant cardigans while doing so. A stereotype of cardigan-wearing, not-quite-in-this-era, absent-mindedness pervades. A researcher’s ability to get lost in books and words while focusing on answering a particular question seems automatically presumed to mean that we are unable to live successfully in the ‘real’ world. As researchers, we know this is not the case. Researchers can juggle and balance with the best of them. Our work may often be internal, as we read and think and write, but it is by no means insular or insulated. Buffy may be the titular hero in the series, and often wields the weapons in the deciding battles, but it is Giles and Willow who research the ways to defeat particularly tricky villains. Working together, Giles and Willow are the only ones who can read ancient languages, decipher long-lost texts, and hack into databases to find out just how many people in Sunnydale have died mysteriously/ gone missing mysteriously / seem to have lived forever and so may well be a villain. In the much-lauded episode Hush (Season 4, Episode 10), The Gentlemen steal everyone’s voices so no one can scream as they are murdered one by one. The Gentlemen are not vampires and so cannot be vanquished in Buffy’s usual way. It is Giles who tells Buffy that the only way to kill The Gentlemen is to break the box in which they have hidden everyone’s voices – and then scream until their heads explode. Further, Giles and Willow may initially be painted with a nerdy brush, and wear cardigans with flair, but they are far more than the academic stereotype. Giles can wield a stake almost as well as Buffy, has a history in the occult, and survives acts of torture. Willow uncovers her tremendous magical power to become a formidable opponent when she fights Buffy for the right to punish the men who killed her lover. Willow’s ability to lose herself in a book is vividly demonstrated when she soaks up the words within books of dark magic, the ink changing the colour of her eyes and hair (Two to Go, Season 6, Episode 20). Set in 1920s Egypt, The Mummy movies follow a familiar character trope: Rick, the handsome American daredevil who falls for Evelyn, the serious but gorgeous English librarian; Evelyn’s comic relief brother, Jonathan, also tags along. Rick, Jonathan, and Evelyn are tasked with saving the world from the destruction about to be wreaked by The Mummy, a priest from ancient Egypt cursed in death. Rachel Weisz plays the feisty, deeply intelligent, impossibly gorgeous Evelyn in the first two movies. We first meet Evelyn in the library where she demonstrates an incredible knowledge of Ancient Egyptian history, language, and artifacts, while knocking over all the bookcases in a spectacular display of clumsiness. Like Willow, Evelyn’s social awkwardness means she is, at times, not taken seriously, when her knowledge deserves to be. Yet, despite these surface stereotypes, research matters just as much as physical strength and coordination in The Mummy. Further, much like Buffy the Vampire Slayer, it may be Rick who delivers the fatal blow that ostensibly saves Evelyn, and the world, but it is Evelyn who makes The Mummy a mortal man again so he can be killed. Her interactions with Beni, the man who takes her to The Mummy as a sacrifice, also show that she is more than a damsel in distress. Before Beni dies a particularly gruesome death, Evelyn warns him, “You know, nasty little fellows such as yourself always their comeuppance”. In the end, and for good reason, Evelyn cares more about losing a book than Beni. Indiana Jones – the movies that launched the imaginations of thousands to dream about becoming an archaeologist (the author’s included). Of the three examples given here, Indiana Jones is the only researcher proper – Dr Henry Walton Jones Jr is a college professor in archaeology. He is qualified to supervise and mentor PhD students, but whether or not he would be a practically useful supervisor is in question. 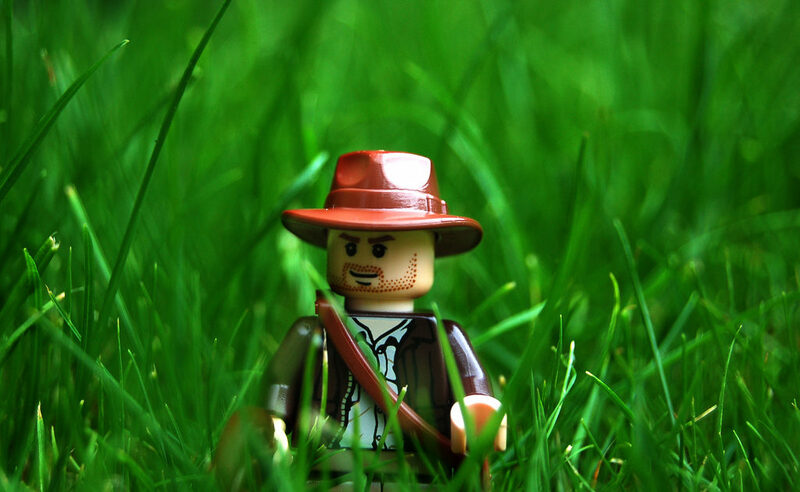 Yet, it is in the Indiana Jones movies where a researcher/academic persona is most intertwined with the hero persona – Indy saves the world because he understands the history, language, and artifacts. Indeed, Indy is often saving the world as a consequence of wanting to save the artifacts. In Indiana Jones and The Temple of Doom, Indiana Jones’ knowledge of Shiva, and the incantations connected to her, allows him to defeat the film’s villain, Mola Ram, who is a Kali devotee. Further, and perhaps attached to the conceit of being the titular character, the worth of Indiana Jones’ academic skills are never questioned in the same way that the worth of Giles, Willow, and Evelyn are questioned. In the case of Willow and Evelyn, men’s ability to underestimate them ultimately works in their favour – no one expects them to be able to kill people (in Willow’s case) or provide the key that defeats The Mummy (in Evelyn’s case). Indiana Jones may crack the stuffy stereotype of academics, but he falls head-first into the heroic male archetype. It is an easy stereotype to declare that academics and researchers are not in the real world. However, researchers in popular culture have not always conformed to this stereotype.